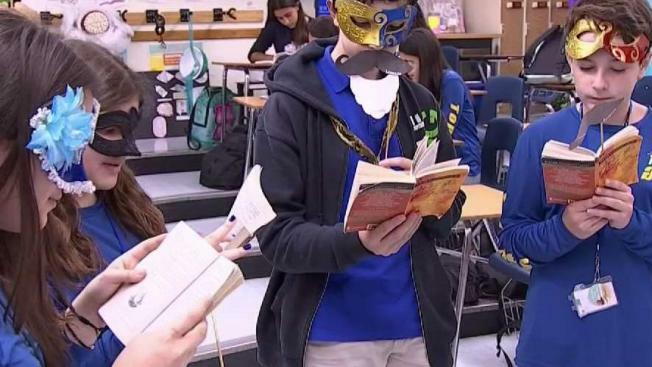 Glades Middle students choose between regular, gifted, or the Cambridge program tracks, along with electives such as culinary, self-defense, and robotics. NBC 6's Ari Odzer reports. Most middle schools don't have jazz bands. Glades Middle School in Kendall has one, and it sounds almost as good as a high school band. It's one of several distinctions this A-rated school enjoys. "I'm proud as a principal to see 'em play, they seem like high school students, some of them at college level," principal Cynthia Garcia-Valdes says, talking about the jazz band. One unique program here is the self-defense class, taught by a taekwondo black belt. "This is the first school to ever have this, as far as I know," said Lysander Alonso, the PE coach and martial arts instructor. "I always tell 'em, this is a life lesson, you never know, you may need this when you're in your 20's, they practice and practice, this is a life lesson." Glades Middle students choose between regular, gifted, or the Cambridge program tracks, along with electives such as culinary, self-defense, and robotics. "Every child has a place here at Glades Middle School, whether you have a learning disability, regular student, advanced and gifted, we educate the whole child, students have here a sense of belonging," Garcia-Valdes said. Restorative Justice Practices helps kids feel at home. It's a program designed to spark self-expression. A discussion is facilitated by a teacher, and the kids take turns contributing their thoughts. Usually done in a circle format, teachers in every subject area hold RSP sessions several times a month. "The purpose of that is so when students come to school they feel welcomed and comfortable at school and they feel like this is a house, it's a place where they belong," said history teacher Jonathan Cid. From emotional expression to physical expression, the school just formed a dance club a month ago, yet another outlet for students. The principal says her school has it all. She may be right.